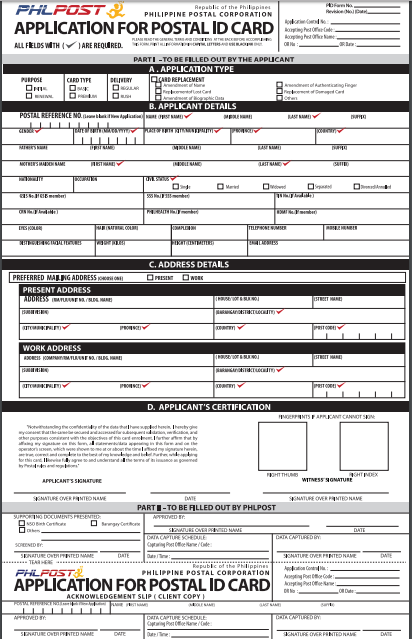 Home Agency Application Government How-To Postal ID Registration Here is your Postal Registration Guide. Here is your Postal Registration Guide. Postal Identification, a government ID card. A Postal ID verifies the identity and address of a recipient of letters or parcels through the mail. It can also be used to apply for other government IDs. On February 3, 2015, the Philippine Post Office announced the opening of 260 capturing sites that process applications for the new and improved Postal ID. Source: GOVPHServices and Philipost site.